Canterbury Resources Ltd is an emerging resource company focused on creating shareholder wealth by generating, exploring and monetising potential Tier-1 copper-gold projects in the southwest Pacific, and has established a strong portfolio of projects in Australia, Papua New Guinea and Vanuatu that are prospective for porphyry copper-gold and epithermal gold-silver deposits. The Company is managed by an experienced team of resource professionals, with a strong track record of exploration success and mine development in the region. 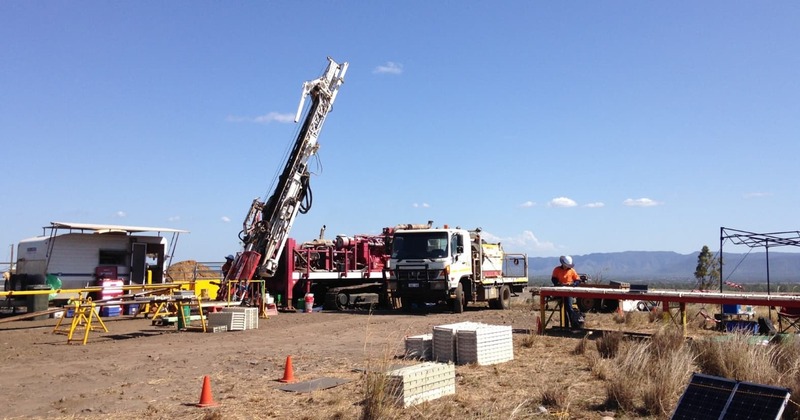 Canterbury’s near-term plans include drilling programs at three of its more advanced assets – the Briggs porphyry copper project in Queensland, plus the Ekoato and Bismarck porphyry copper-gold projects in Papua New Guinea. 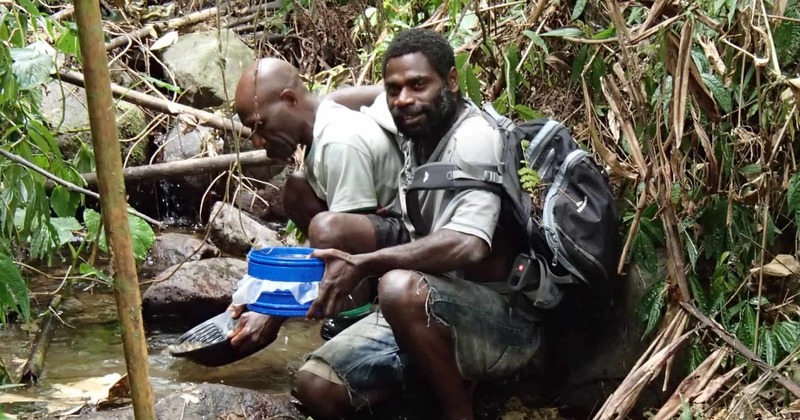 Each program provides the potential for the discovery and/or delineation of a large-scale copper (±gold) resource. 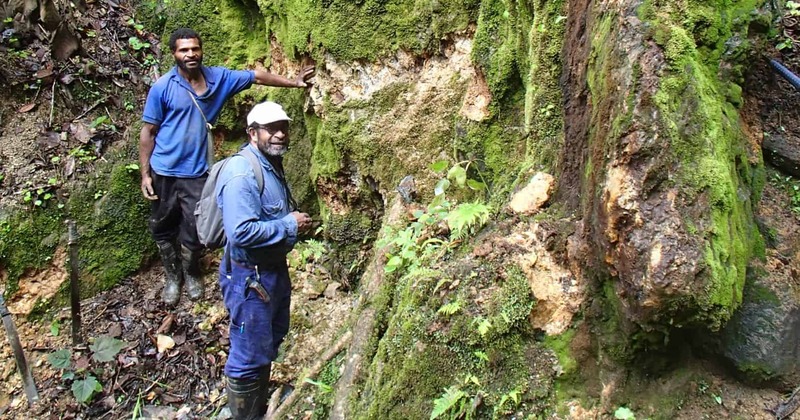 The 100% owned Briggs and Ekoato prospects are being managed and funded by Canterbury, while the Bismarck Project is currently being managed and sole-funded by Rio Tinto Exploration (PNG) Limited as part of a Farm-In and Joint Venture Agreement. Canterbury holds the Briggs & Mannersley Projects, which it acquired from Rio Tinto in 2017 (Rio Tinto retains back-in rights in the event of a major discovery). The Project is located inland from Gladstone in one of the most important porphyry belts in Queensland and is prospective for large scale porphyry copper mineralisation. At Briggs, the Company is initiating a drill program to further test a large mineralized porphyry system, targeting the higher grade core. a large strategic tenement position has been established at the Ekuti Range Project, where extensive surface copper-gold mineralisation has been outlined and limited drilling of narrow, high grade structures has been completed. These structures are distal to a series of large scale porphyry targets, including the Ekoato prospect where near term drilling is planned. 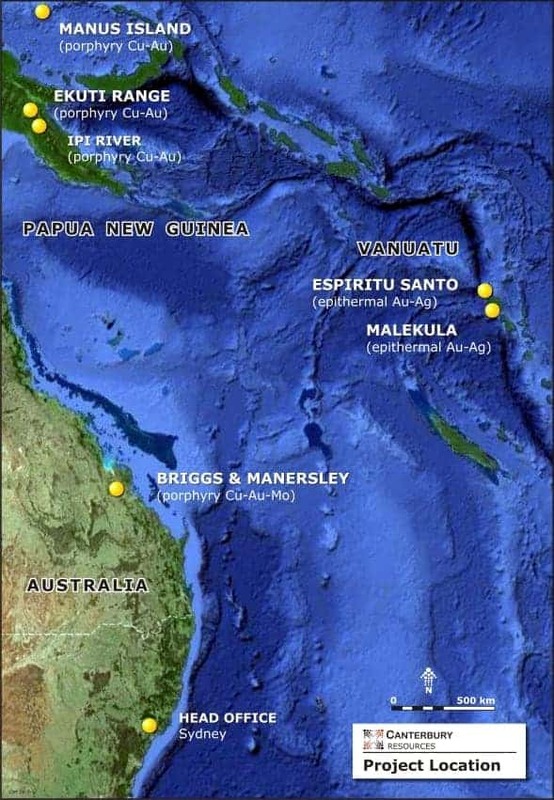 Canterbury also holds two tenements on Manus Island where partner Rio Tinto has earned a 60% joint venture interest by sole-funding over A$5million of exploration activity, and has the right to increase its equity to 80% during Stage-2 by sole-funding a further A$12.5 million of exploration. Work to date has identified large-scale buried porphyry copper-gold targets that will be drill tested in the term. 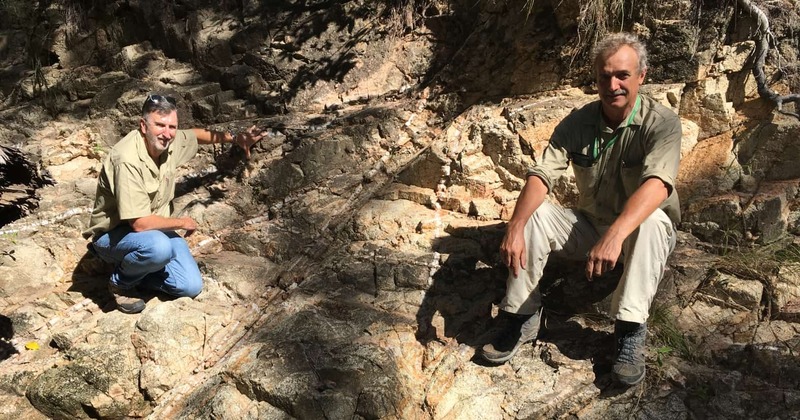 In addition, Canterbury holds an application over the Ipi River porphyry copper-gold system where compelling IP targets have been identified, but are yet to be drill tested. a strategic portfolio has been established covering areas that display many geological similarities to the rich Hauraki Goldfield in NZ, but has received minimal attention from past explorers. Exciting drill targets have already been generated at several prospects.